My grandfather was not the most inspired conversationalist. He talked about the weather, church, rabbits, church, and an occasional pheasant. 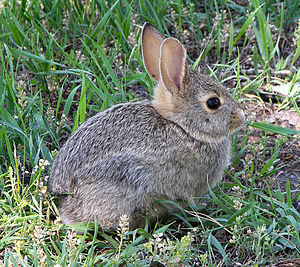 He would often start a conversation with “Seen any rabbits?” Guys, ever tried this one to meet women? Didn’t think so. After answering “no,” there would still be total silence. He would then ask, “have you seen any pheasants?” Again, no. 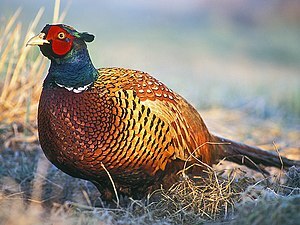 I had only seen a pheasant on TV. I didn’t expect any in the back yard. Grandpa also avoided confrontations. Unfortunately for him, my grandmother thrived on confrontation and drama. She would start telling a story of meeting up with someone she didn’t like in the supermarket, and intersperse as many swear words as she could, just to get his attention. He would groan, and run to the corner of the room and begin reciting the rosary. My grandparents were married over 50 years. That was because they did not believe in divorce. We often wonder how they found each other in the first place. That’s a mystery that will remain unknown.